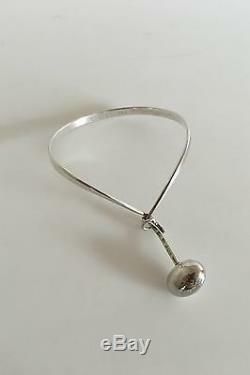 Georg Jensen Sterling Silver Torun Armring No 205 with Pendant No 303. Measures 7.5 cm / 2 61/64 in. X 6 cm / 2 23/64 in. Weighs 20 g / 0.75 oz. 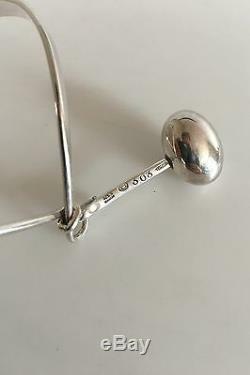 Pendant is 3.5 cm / 1 3/8 in. 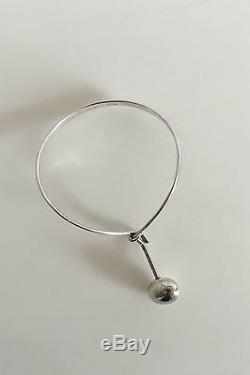 We have over 50 years of combined experience specializing in Scandinavian silver, porcelain and fine jewelry. If you have questions or would like further information about a specific product, please feel free to message us at any time. 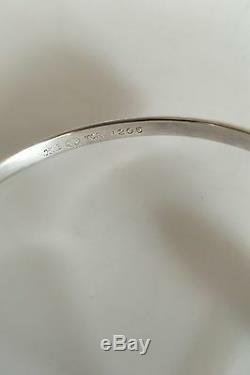 The item "Georg Jensen Sterling Silver Torun Armring No 205 with Pendant No 303" is in sale since Monday, June 27, 2016. This item is in the category "Jewelry & Watches\Vintage & Antique Jewelry\Vintage Ethnic/Regional/Tribal\Scandinavian". The seller is "danamantik" and is located in Aarhus. This item can be shipped worldwide.